Jordan Hankins plays a game in 2016. Weinberg sophomore Jordan Hankins’ death was ruled a suicide, according to the Cook County Medical Examiner’s report released Tuesday. Hankins, 19, was found dead in Foster-Walker Complex on Monday afternoon. Police were called to Plex just after 3 p.m., Evanston police Cmdr. Joseph Dugan said. 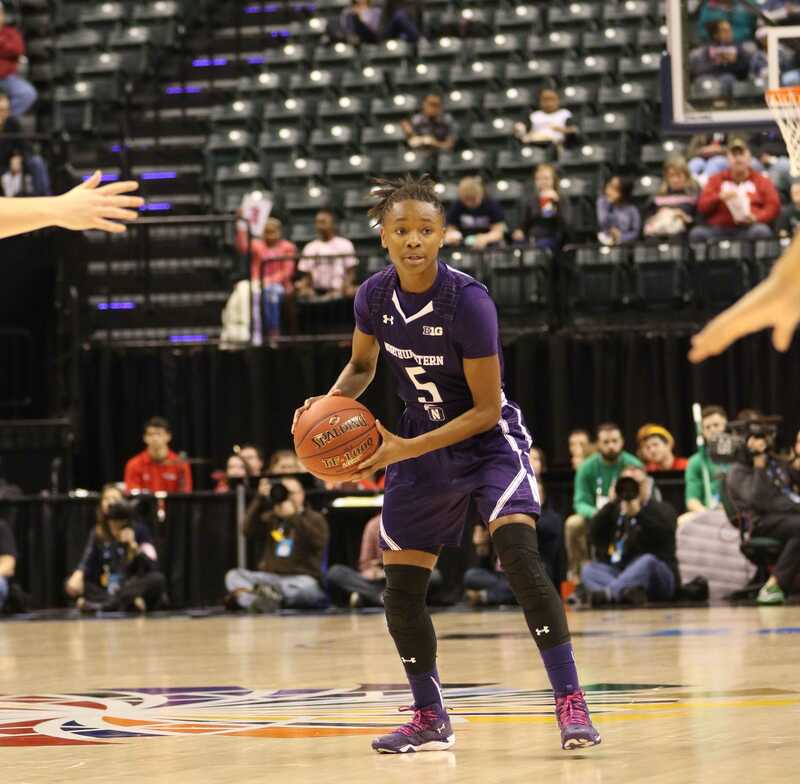 A native of Indianapolis, Hankins was a guard on the women’s basketball team and a member of Alpha Kappa Alpha sorority. She was studying on the pre-med track, according to her Facebook page. Hankins’ friends remembered her for her “quiet confidence” and her constant positivity. Weinberg sophomore Madisen Hursey said she went to almost every basketball game to watch her friend and sat in the same spot each time. Hursey said Hankins would see her on the way to the locker room and would always make a funny face or do a little dance on her way. Even when Hankins had a hard day at practice, she and Hursey could always laugh and bond afterward. Across campus, Hankins drew a close circle of friends who were drawn by her passion and selflessness, Hursey said. Weinberg sophomore Alex Clemons said she became friends with Hankins when they both didn’t do the homework in their first Swahili class freshman year. Clemons said they took more and more classes with each other until they were together all the time. When she heard there was a death in Plex, Clemons said she ran all the way from Bobb Hall in the snow and knew something was wrong when Hankins wasn’t in her room. There, Clemons said, she saw others crying. “I was really upset that she left me because I don’t know what I’m gonna do without her,” Clemons said. This story has been updated to include interviews with Madisen Hursey and Alex Clemons.